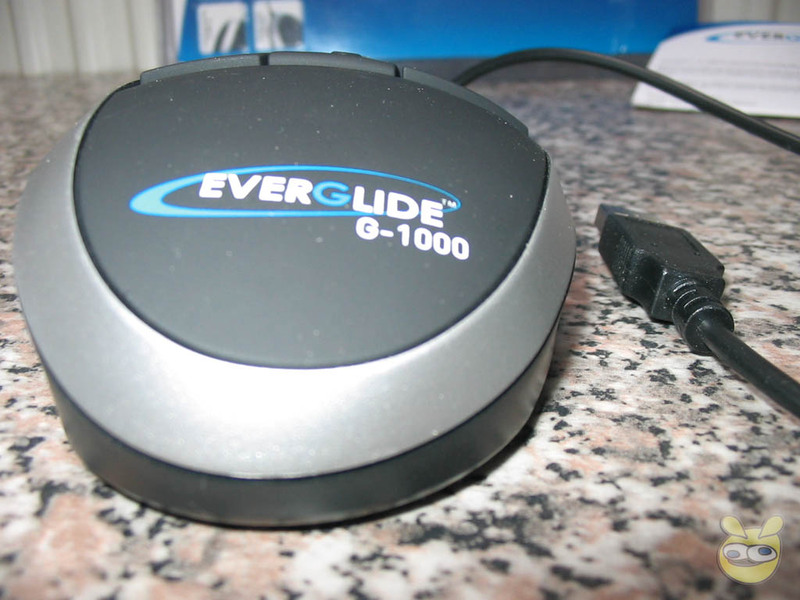 Today we're looking at the Everglide g-1000 Professional Gaming Mouse. 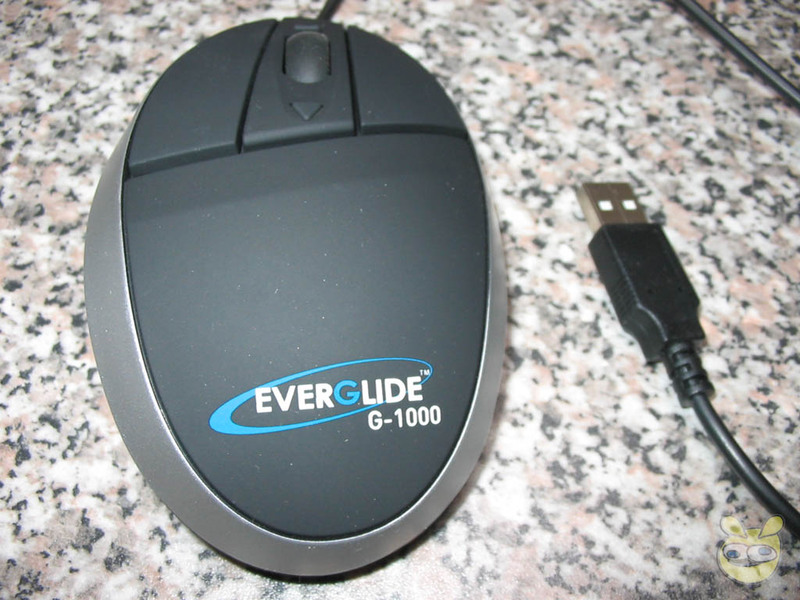 The g-1000 is a pretty basic mouse with a very high DPI of 1600. The g-1000 also carries a price tag under $30 (US), so I am even more hopeful that the performance makes it worth recommending, since the price makes it well within the reach of most enthusiasts looking for an edge in games. 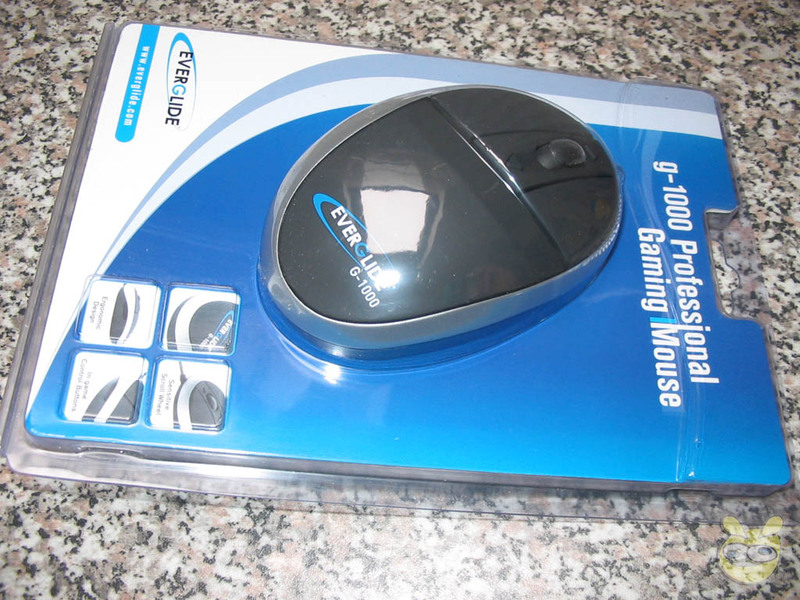 Out of the packaging you simply have the g-1000 mouse, and no accessories or discs (not that any are really necessary). 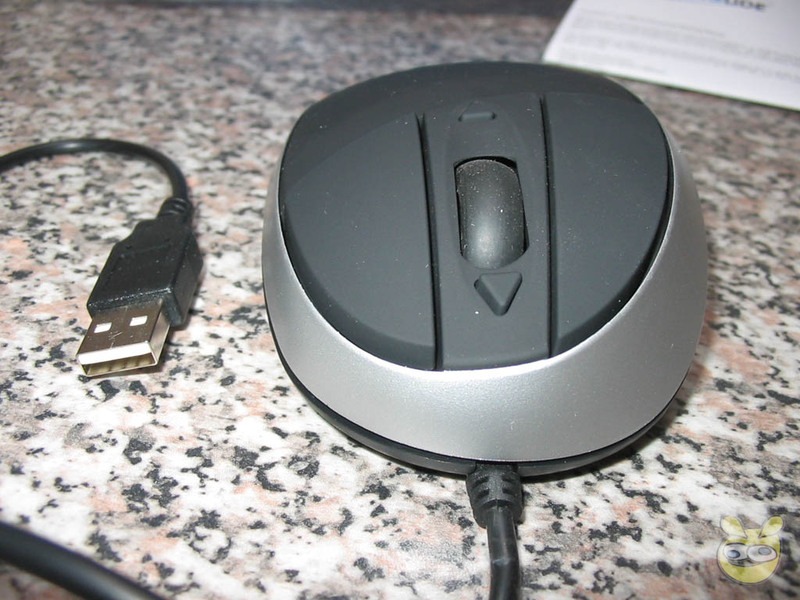 As you can see in the images below, the mouse has a slightly asymmetrical oval shape definitely intended for right hand use. 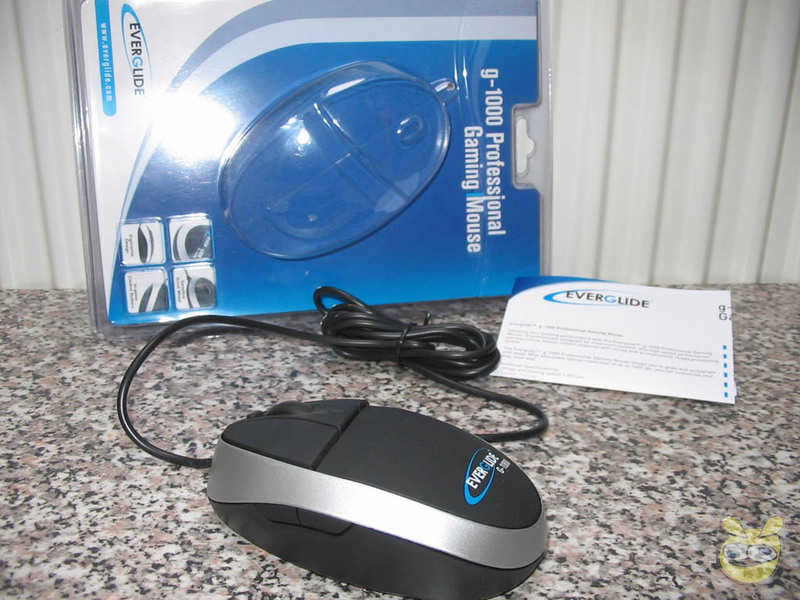 The first thing that you notice when you remove the mouse is the weight, the g-1000 is extremely lightweight weighing only 15g. The mouse itself is nothing extraordinary. It has the normal left click, right click and mouse wheel buttons. The left and right click are slightly raised from palm level which allows Ever Glide to give the buttons a stronger resistance to your fingers, what I mean by this is it make it harder to press the button accidentally while in a heated moment. The scroll wheel features a soft detent. Above and below the scroll wheel are the resolution buttons. Up increases the DPI, down decreases the DPI. There are three DPI settings and they're 1600dpi, 800dpi and 400dpi. On the side are two thumb buttons. These can be programmed in game for whatever you'd like to use them for and in windows they operate as forward/back buttons. 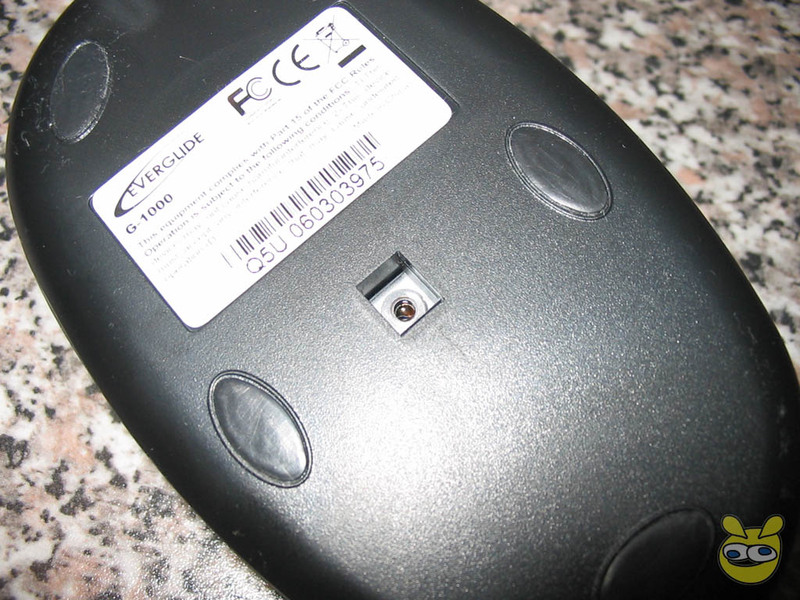 The bottom of the mouse features five wide low-friction mouse feet. Also on the bottom is the sensor and the model info placard. 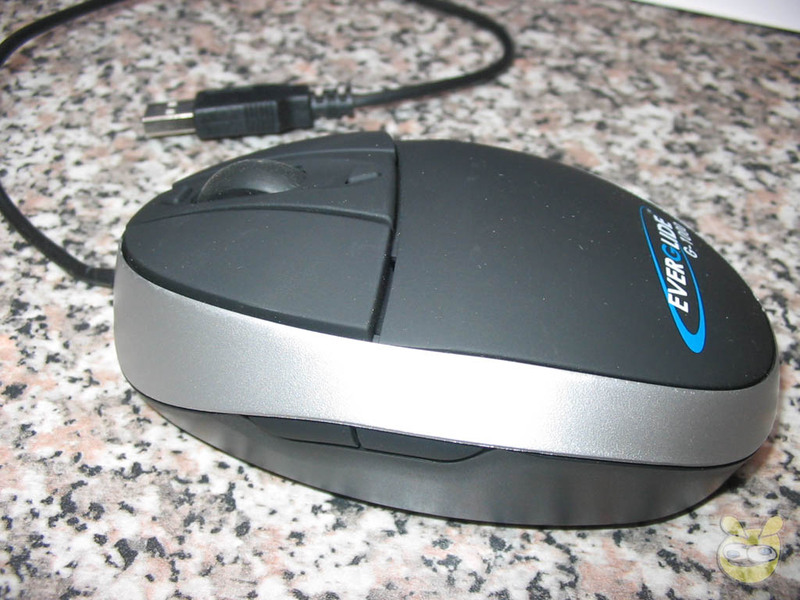 Installation of the mouse was as simple as expected; just plug it into an open USB port and you're ready to go. 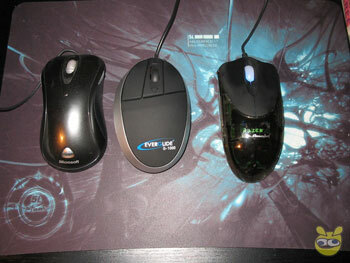 I took the mouse on a spin of various action games. Before I continue, I should mention that gaming testing was done on an SteelPad 5L, Everglide Titan GamingMat and F-Series F10/30 mats. I played numerous games, including F.E.A.R., Painkiller, Battlefield 2, Dark Messiah M&M, Titan Quest and Neverwinter Nights 2. The g-1000 performed flawlessly with these games. I have no complaints here. I am not the biggest fan of the g-1000, that is because I couldn't really get to grips with it while gaming. As I mentioned in my reviews, I use a mouse very differently to most people. 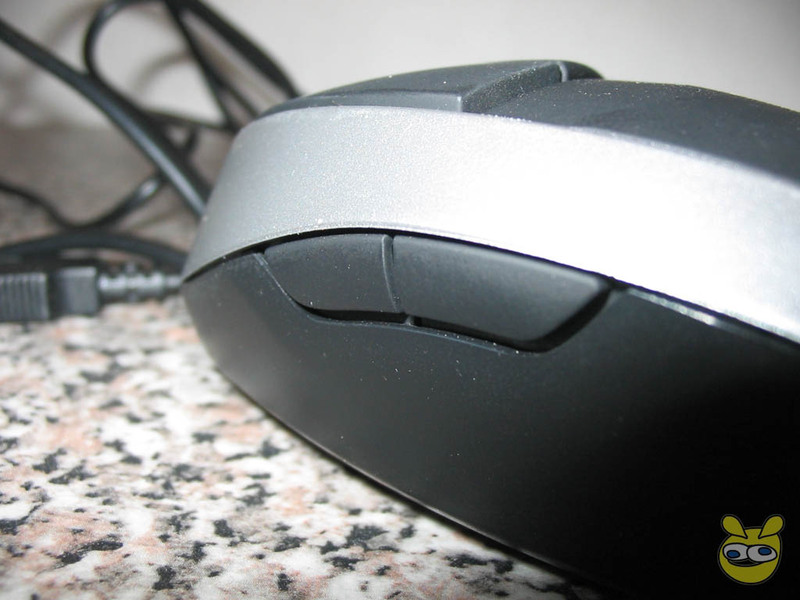 Whereas the majority of mouse users will hold the device in their hand and move it around from the shoulder, I rest the heel of my hand on the desktop and move the mouse with my thumb, ring finger and little finger :-) This mice is simply too fat/flat for my hand. Of course, it doesn't mean the mouse is bad. Most normal people who hold the mouse properly will find this mouse comfortable. This mouse was designed to be palmed. I would say look at your playing style beforehand and if and if you like a flat mouse which you rarely lift then the G-1000 could be the prefect mouse. Overall, the Everglide g-1000 Gaming Mouse isn't the best gaming mouse I've ever used, but overall it does offer solid performance that works well in gaming situations. At ~$30 USD, the mouse isn't too expensive, but other high-quality mice can be found for this price nowadays also. 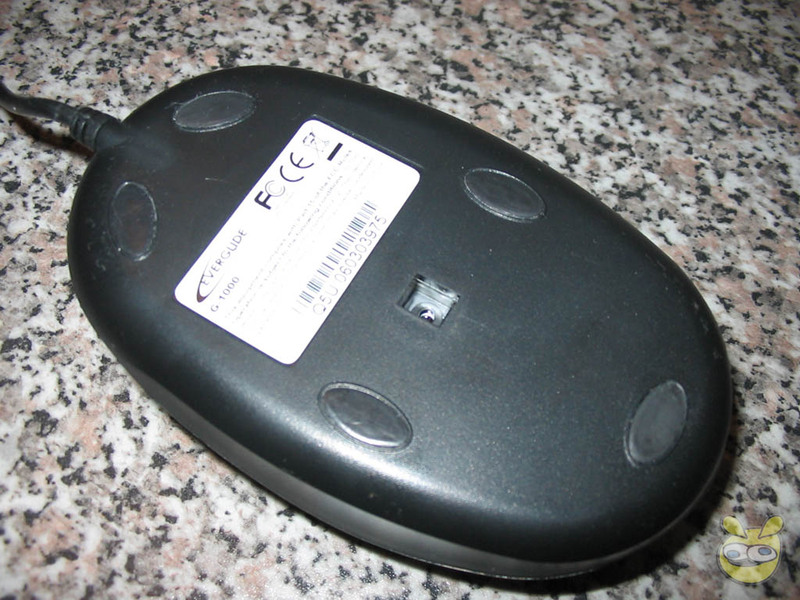 Warning: This mouse is designed for right-hand users, so if you are left-handed, you should look elsewhere. 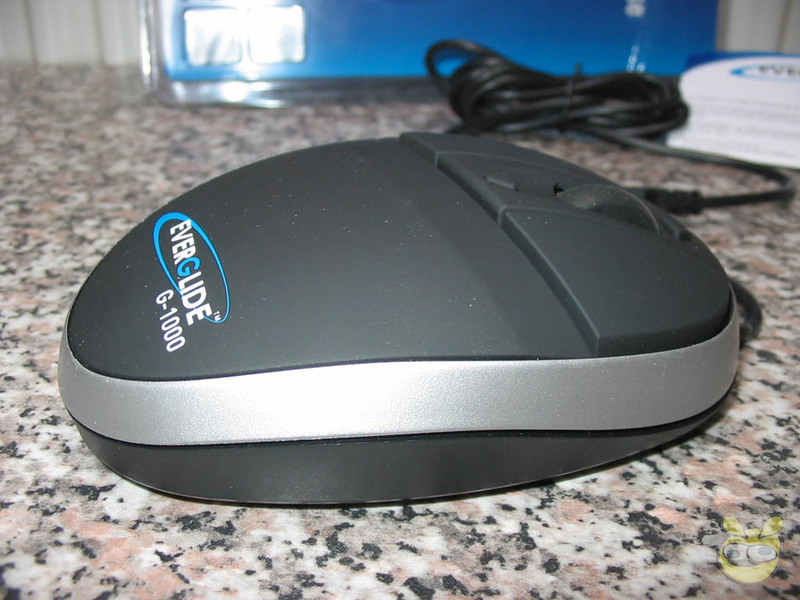 Special thanks to IndiWEB for providing the g-1000 Professional Gaming Mouse.